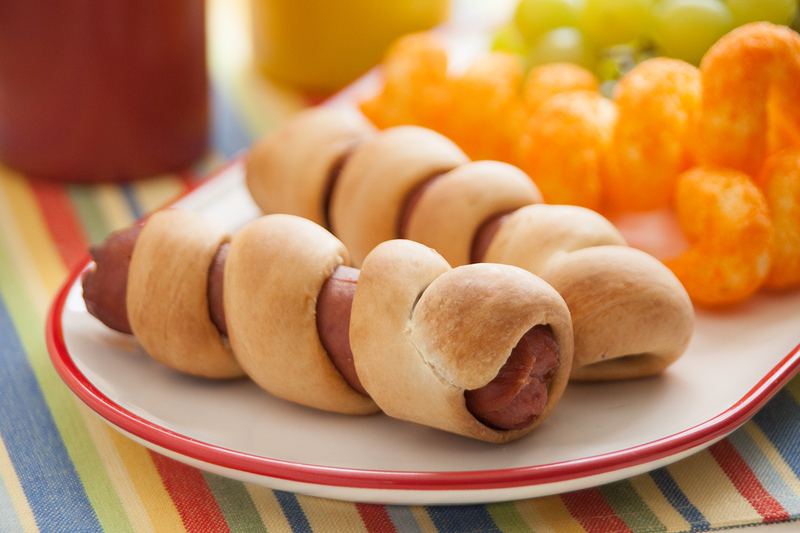 Your kids will love this fun twist on their favorite summer dinner! Perfect for roasting over the campfire too! Roll each roll into a 14 to 15-inch rope. Twist rope around each hot dog 4 or 5 times, securing ends in dough. Place on a large sprayed baking sheet. Bake immediately at 350 degrees F 15-20 minutes or until golden brown. Serve immediately with desired condiments. These curly dogs may also be cooked over hot coals at a summer cookout.